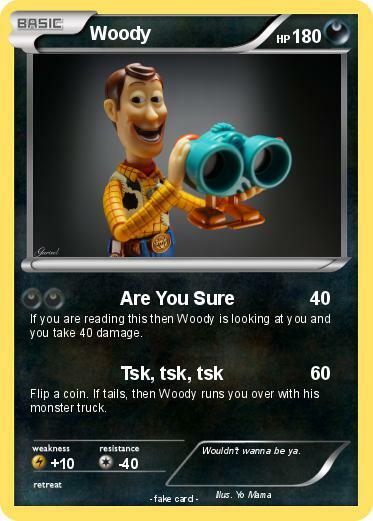 If you are reading this then Woody is looking at you and you take 40 damage. Flip a coin. If tails, then Woody runs you over with his monster truck. Comments : Wouldn't wanna be ya.